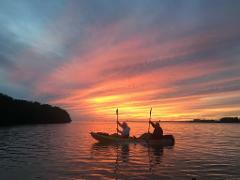 Take a guided trip aboard a kayak or Stand up Paddleboard (SUP) around the Florida Bay shoreline and islands. 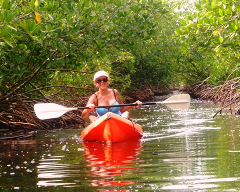 Enjoy mangrove islands, beautiful scenery, amazing wildlife and relax to enjoy the most beautiful sunsets in the world. 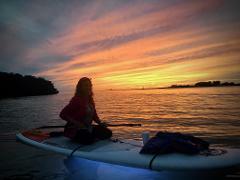 Join us on this exciting Full Moon SUP Yoga event! Enjoy the tranquility of calm meditative waters as you move through a variety of yoga poses with our instructor. This rare event is something that you will tell all of your friends about!